We are expanding the fleet in more ways than one for the 2015 season. Not only are we adding more of each of our existing vehicle types, we are also proud to announce the arrival of our new super-budget, super-compact Eurocub Campervan. Cheaper and more compact doesn’t mean less though! This campervan still has all the essentials you need for a successful touring holiday for one or two people. Our Eurocub campervans are all brand new for this season. 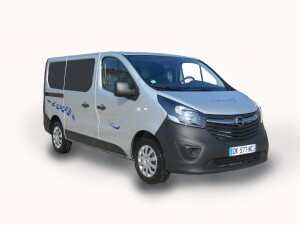 They are based on the latest generation Opel Vivaro chassis with all the power, economy and features you would expect from a new generation vehicle. The accommodation area is cleverly designed with comfort in mind but the external dimensions are really compact at well under 5 metres in length. ← How old is too old to hire a campervan?